Exercise is vital to losing belly fat. But, if you're thinking you have to do crunches and twists that strain your lower back you're wrong. Spot-training doesn't work to remove fat layers from your middle. A 2011 study published in the Journal of Strength and Conditioning Research proved just that. After six weeks of training the abs with two sets of seven exercises, five times per week, the 24 participants experienced no loss of fat or change in body composition. To lose belly fat, you need to embrace aerobic exercise, and there are plenty of options that don't hurt your lower back. You can even do high-intensity workouts, which do the best job of shrinking the belly bulge, and keep your spine happy. You know that fat padding your middle isn't pretty, but it also isn't healthy. 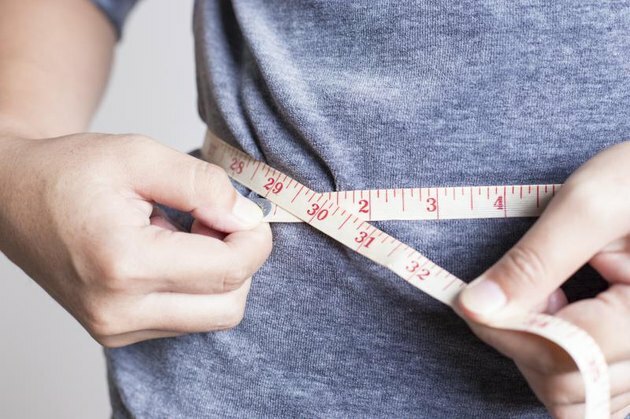 Carrying too much belly fat, especially the stuff that resides deep inside and surrounds your internal organs, puts you at a greater risk of chronic disease, including type 2 diabetes and heart disease. Losing fat is a full-body affair. Sadly, you can't point to an area and exercise it away. You must take efforts to drop fat all over, and your body decides which stores it depletes first. Luckily dangerous, visceral belly fat is usually some of the first to surrender. A two-pronged approach of exercise and diet is what's needed to lose the fat. In addition to the exercise strategies below, remember to keep meal portions in check and make your choices mostly healthy, with limited intake of sugar, refined grains and saturated fats. If you're not already getting at least 150 minutes per week, or about 30 minutes on most days, of moderate-intensity cardio activity in -- it's time to start moving. Options that are easy on your back include briskly walking, pedaling a recumbent bike (an upright bike can make you flex forward and aggravate pain) or swimming. Work this up to 250 minutes per week to encourage your weight, including belly fat, to drop faster, recommends the American College of Sports Medicine. To really get the fat moving, progress your cardio workouts to a higher intensity. A study published in Metabolic Syndrome and Related Disorders in 2009 showed that women who burned 1,000 extra calories per week using an intense form of exercise -- working at about 75 percent of their max heart rate -- lost more visceral fat than women who burned 1,000 extra calories using a low-intensity exercise rate. You don't have to endure back pain to work harder -- even low-impact modes of exercise can be performed vigorously. Simply pick up your pedaling rate on the bike or swim some of your laps at an accelerated pace. Abdominal-specific exercises can contribute to a stronger core, which offers support that may alleviate low back pain; remember, though, they aren't going to whittle away your fat middle. Some options that won't aggravate your back include plank holds and bird dogs. Resistance-training exercise, though, is a must in your comprehensive weight-loss plan. While it doesn't burn as many calories as cardio while you're doing the exercises, it pays back later. You experience an afterburn effect from lifting weights as your body seeks to repair the broken-down fibers. Then, the lean muscle accrued boosts your overall metabolism as it takes more calories to fuel a body with a greater amount of muscle mass. 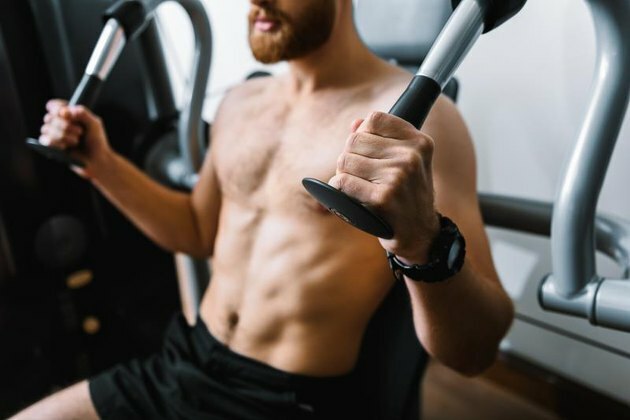 You might benefit most from using weight machines because they support you as you maneuver the weight, which means you're less likely to aggravate your back as you might when hoisting heavy dumbbells or barbells. A comprehensive workout to complete twice per week for one to three sets of eight to 12 reps includes the following machines: chest press, lat pull-down, shoulder press, seated biceps curls, seated triceps extensions, leg extensions and squat press. The New York Times: Is Your Ab Workout Hurting Your Back? What Are Exercises for Back Fat?